A few years ago, I would’ve vehemently insisted on taking the NB 4 to its weekday rush hour-only terminus at “Industrial Park”, a full four miles past the regular terminus. Alas, Sam and I did our SRTA trip on a Saturday, so we couldn’t do an Industrial Park ride. We couldn’t even get one of the every-three-hour deviation to “Taber Mills Apartments”! Old Miles would kill me. Hey, it’s a not-terrible photo inside the New Bedford Terminal! You won’t see many of these. We began our trip by heading straight onto Pleasant Street, taking us straight out of downtown New Bedford almost immediately. 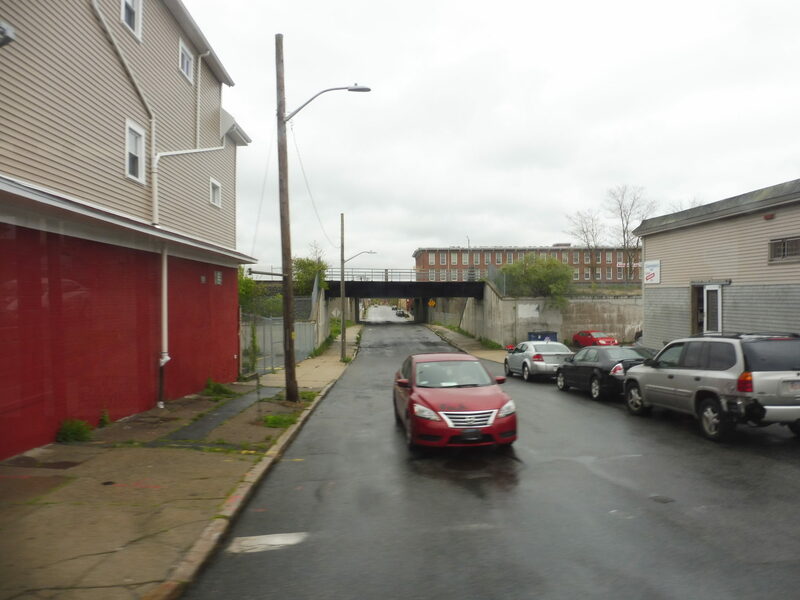 It became Purchase Street pretty quickly, and though the neighborhood was mostly dense houses, we were very close to the Route 18 highway, which gave some sections of the road an industrial vibe. Once we went under I-195, the highway curved away and some train tracks were our new friends. Hey, they were on a nicely-landscaped embankment, so they felt a lot less intrusive. We headed down Sawyer Street for a short time before turning onto Ashley Boulevard (oh look, the name of the route!). 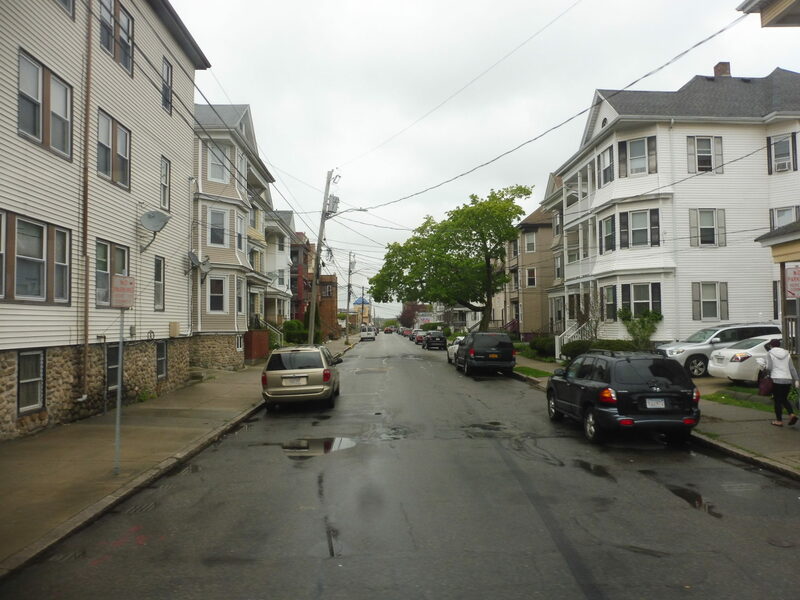 This somewhat narrow street was lined with dense apartments, a contrast to the commercial Acushnet Ave a block away, which also gets a bus route. Acushnet Ave did eventually curve away, though, and Ashley Boulevard got a bit more retail to fill the gap. Apartments, apartments, and more apartments. We ran alongside the expansive Brooklawn Park, and right when we got to it, those apartments became suburban houses. Ashley Boulevard became a commercial street after the park, in the form of awful suburban businesses with parking lots. We passed a cemetery and New Bedford’s giant vocational technical high school, then we turned onto tiny Chaffee Street. 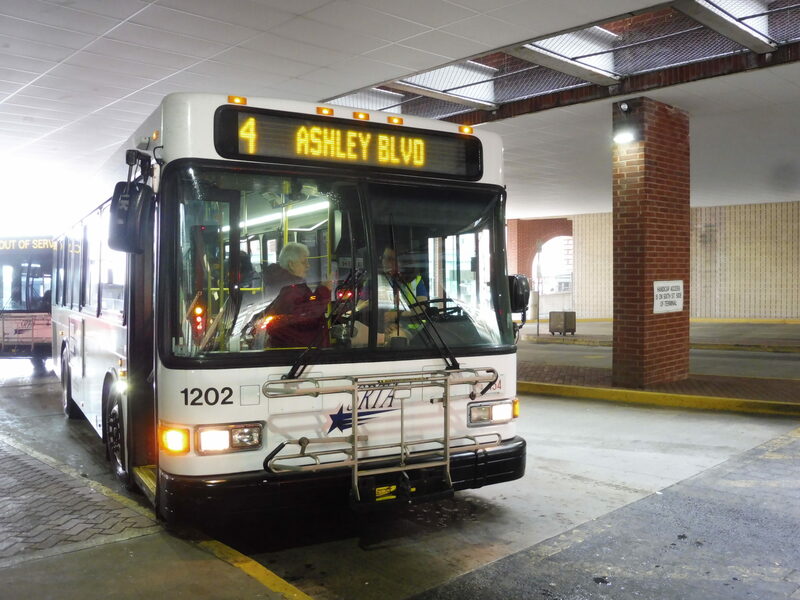 This was just the bus’s loop to turn around – the other streets we used were Church Street, Staron Street, and Phillips Road, which led us to our final stop at my favorite supermarket, Trucchi’s. 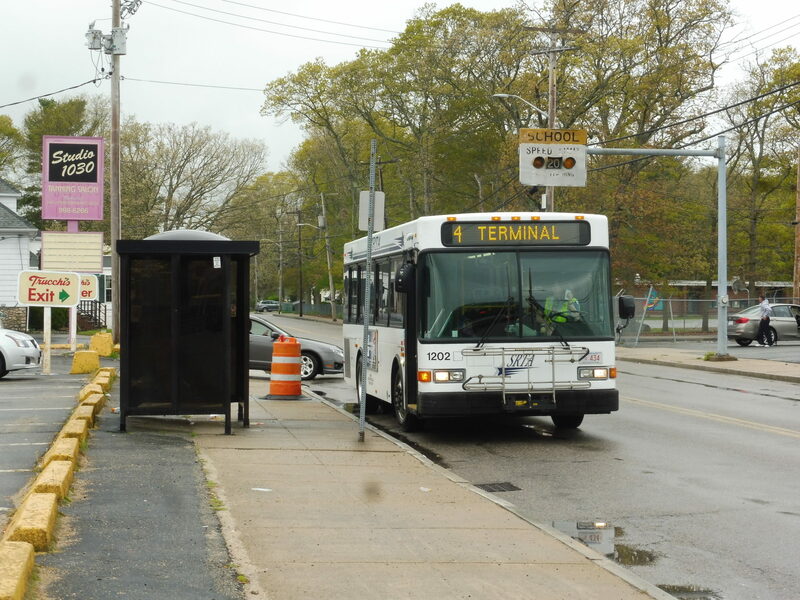 Ridership: This is one of the busier New Bedford routes – it got 14,723 riders in May 2014, or about 545 passengers per day. Pros: The base route is nice and direct, running as straight as it possibly could given New Bedford’s street network. It runs every half hour on weekdays, a great frequency (plus service runs ’till 9!). Cons: Every 45 minutes on Saturdays is a little awkward, especially when most other routes come every 40 instead. Also, the Taber Mill Apartments deviation requires going down tiny one-way streets, and when buses only do it every two to three hours, what’s the point? It’s a three-minute walk from the main road! The rush hour industrial park variation is more useful, assuming it gets ridership. Nearby and Noteworthy: The 4 is mostly residential, so there’s not much. I guess if you’ve just missed a 2, you can use it to get to Acushnet Ave a block away! It’s fine. Nothing special. The route’s directness is great, especially compared to some other ones we’ll be seeing later. The Taber Mill Apartments deviation feels like a waste, though. Rather than awkwardly run a bus there every few hours, just make people walk three minutes! It’ll make the route much simpler, and probably more reliable, since the apartment trips get the same running time as normal ones when they obviously take longer.